Potentials Realized provides individual support for new and experienced team leaders, through coaching and training services. We offer individual coaching for team leaders, as well as group coaching for team leaders and aspiring leaders. Teams can also benefit from our retreat and team coaching processes. Looking for more skills to do your work more masterfully? We also offer training - in person and webinar based. Join us for theTeams365 Team Leader Foundations Cohort - eight months of learning online. View a quick 12 minute presentation on our live programming here. We provide team coaching, facilitation and team building services for teams. Whether you are looking for a one-day team retreat or extended coaching support for your team, we'll create a program with you. Potentials Realized's founder, Jennifer Britton, is a seasoned global team leader herself, and an award winning program designer and best-selling author. Setting the pace is what we help teams and leaders aspire to. Great leaders are not born - they are shaped through experience and learning. We provide leadership training in the areas of communication, relationship management, emotional intelligence, team leadership, conflict resolution, and train-the-trainer. Click here for more information about the different workshops, and webinars, we offer. 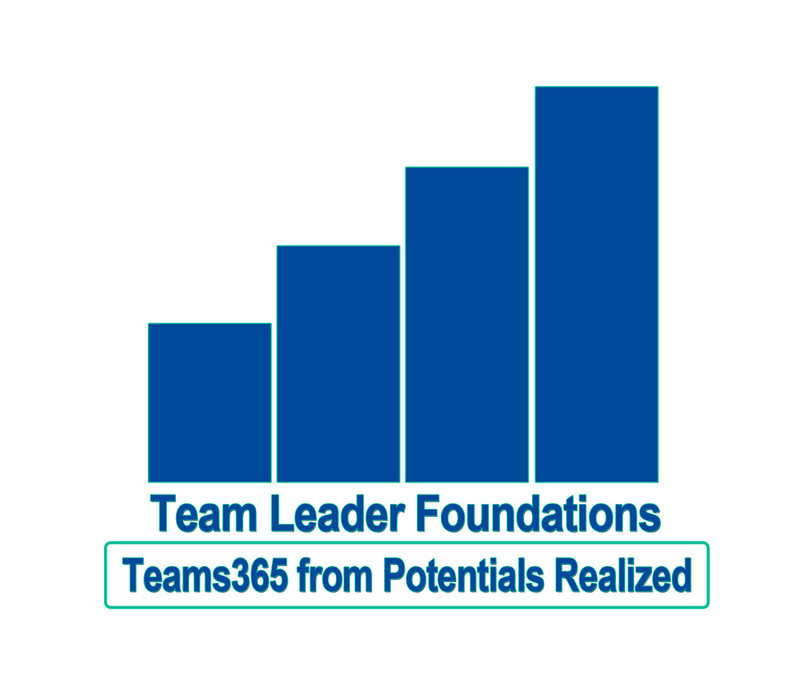 If you are looking for specific training for your new, aspiring or experienced team leaders consider our Teams365 Team Leader Foundations series which can be customized for delivery at your organization. Expand your awareness, and put things into practice at the Teams365 Leadership Lab - 2x 45 minute group coaching calls per month. Check out what happening in the Teams365 Leadership Lab this month. The Teams365 Leadership Portal offers several video-based on-demand programs - Teams365 Teamwork Foundations program. Click here to learn more. These courses can be taken at your own pace with a start and end date of your choosing. These foundational courses provide you with worksheets, and a resource list to take a deeper dive. They are a great starting point for your learning. Offices based in Toronto and Muskoka, Canada. Virtual programming accessible globally.